Top Nigerian songstress Yemi Alade is itching to work with female American rapper Cardi B.
Effyzzie Music lead act Yemi Alade is gunning to secure a collaboration with “Bodak Yellow” crooner Cardi B. Miss Yemi made her intention known on Cardi B’s Instagram page. 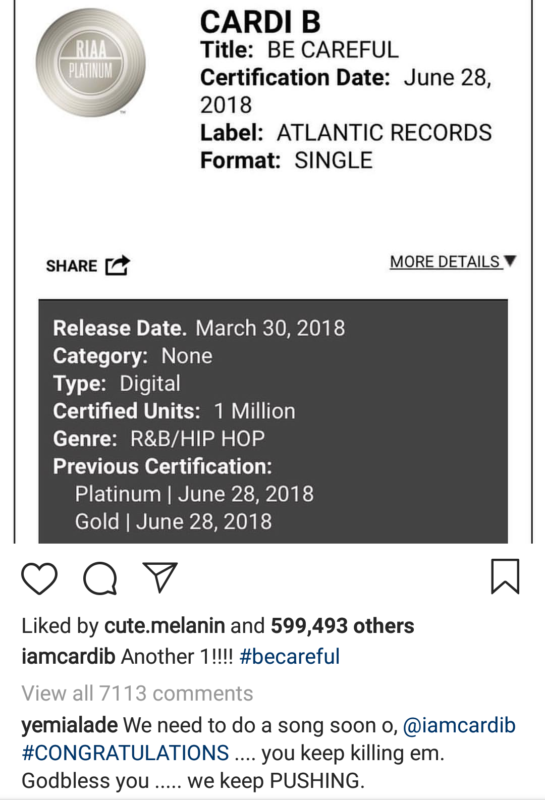 Cardi B’s song “Be Careful” had just been certified gold by RIAA and she took to Instagram to share the news. 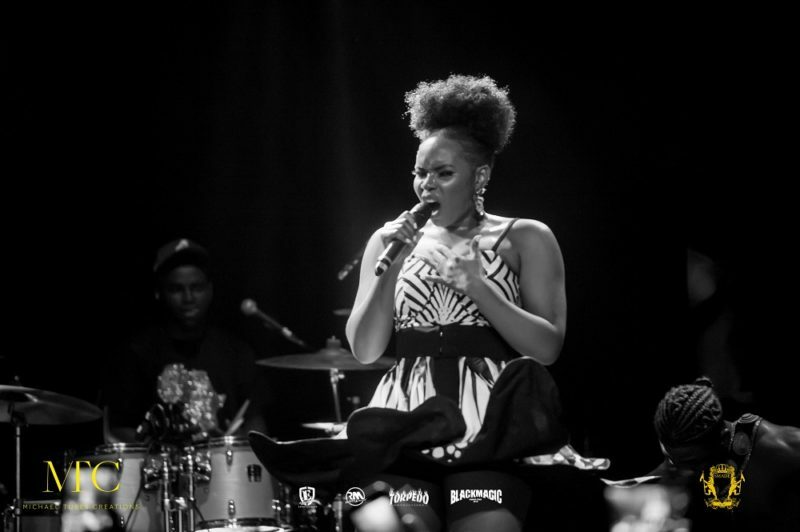 “Bum Bum” Yemi Alade used the opportunity to inform her of a potential collaboration between them while also congratulating her on her latest achievement. Check out how it went down on Cardi B’s IG page.